This time the long shadow of the master of suspense, Alfred Hitchcock, proves impossible to escape as we peek into the dark corners of Richard Franklin's surprisingly good sequel Psycho II. 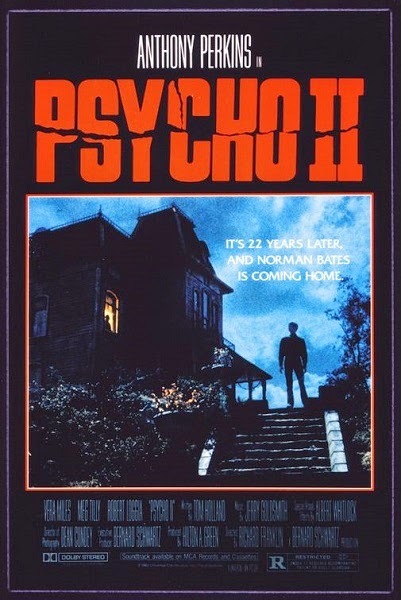 22 years after his crime spree, Norman Bates (Anthony Perkins) returns to his childhood home at the Bates Motel but is still haunted by the bad memories it holds. 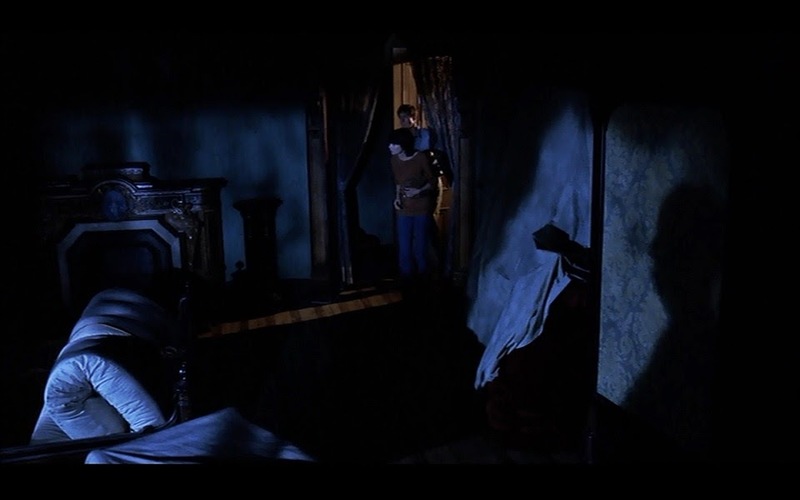 His co-worker and newfound friend Mary (Meg Tilly) attempts to help prove there's nothing to be afraid of in his mother's old bedroom, the site of so much of his adolescent trauma. "See, no ghosts," she insists as they enter. 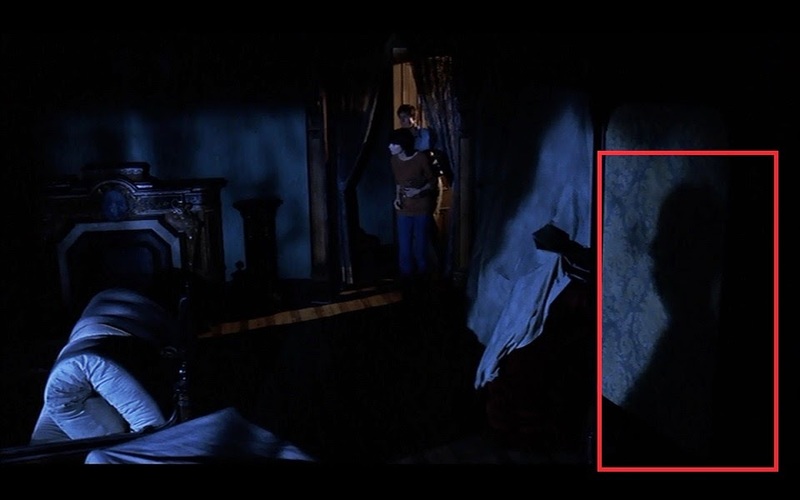 Hiding in the corner is the immortal silhouette of Hitchcock himself, making one of his famous cameos (albeit in someone else's movie) before Mary flicks on the lights. I hope he approved of what he saw. 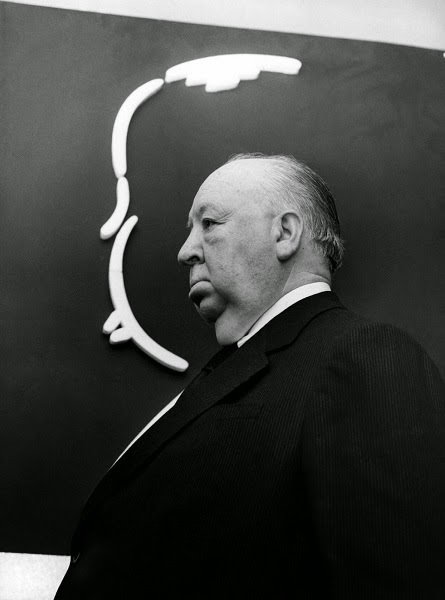 While it's hard to follow up Hitch's groundbreaking masterpiece, Franklin does a commendable job of capturing some of the mood of the original and throws in a few fun twists as well.